OK. 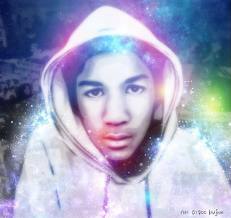 I don’t like posting about Trayvon Martin/George Zimmerman trial. Why? Because everyone is ranting about race, suspicious behavior and Stand Your Ground laws. I have a different issue. What? What could nobody else possibly be discussing that concerns me? Simple: I teach self-defense. I testify about self-defense issues and the proper or improper use of martial arts. I testify about excessive force cases. And I am alive. So what you say? Well, if I’m out walking at night and somebody is following me in a car, then follows me on foot, I’m more than a little likely to get upset. I will surely think they mean me no good. I will probably not want to get caught unprepared or approached from behind. I will be sure that the best way to deal with a threat is to confront it head on. If I think the person following me is armed I will not be nice about it either. I do not like to take chances with possibly armed people following me at night. So will I run away? If I can. But if I cannot run away or evade, I will not passively await. I will confront the person. “What are you doing?” “Why are you following me?” “Get away from me.” Any and I mean any non-compliant move by the person following me will be treated instantly as a serious threat. So, I am going to react severely to the threat. I haven’t followed the Martin/Zimmerman trial but here’s my point: This trial could set an ugly precedent where someone can follow me, behave in a threatening manner towards me, and yet, when I defend myself, shoot me and claim self defense or Stand My Ground? Nonsense! I feel very strongly that I have the right to defend myself a strongly as needed short of lethal force under the circumstances I described above. And I won’t stop until the threat is subdued or the threat runs away (withdraws). Nothing else is adequate to protect me. Now these may not be the circumstances of the trial, but the Martin/Zimmernan trial is only what got me to think about this issue.